You are currently browsing the tag archive for the ‘Cottage Grove’ tag. Take one of the best silent films ever made – add a custom contemporary soundtrack played live by professional symphony musicians – stage the showing of the film and the musicians in the location where it was produced on the evening of the 90th anniversary of it’s debut – and you get a once-in-a-lifetime event of rare quality. 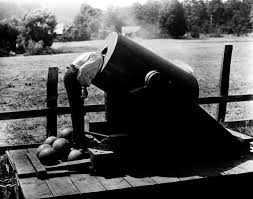 Saturday August 13, 2016 was the 90th year since the debut of Buster Keaton’s The General in 1926. The Hollywood Theater of Portland Oregon teamed with the Cottage Grove Historical Society for the showing which launched a tour of showings with the live soundtrack. Aoife Rose and I toted lawn chairs to join a few hundred film enthusiasts in the Cottage Grove Bohemia park to watch and listen as the magic unfolded in the sultry summer night. I met people from Los Angeles and New York who travelled to Cottage Grove for this event. They certainly got their worth out of their adventure. The General is a story based on a historical event known as The Great Locomotive Chase which occurred when Union spies stole a train from the Confederate army in Georgia to ride North sabotaging bridges, telegraph wires, and infrastructure in their path. Drama ensued as the Confederate army pursued the Union spies for 87 miles. 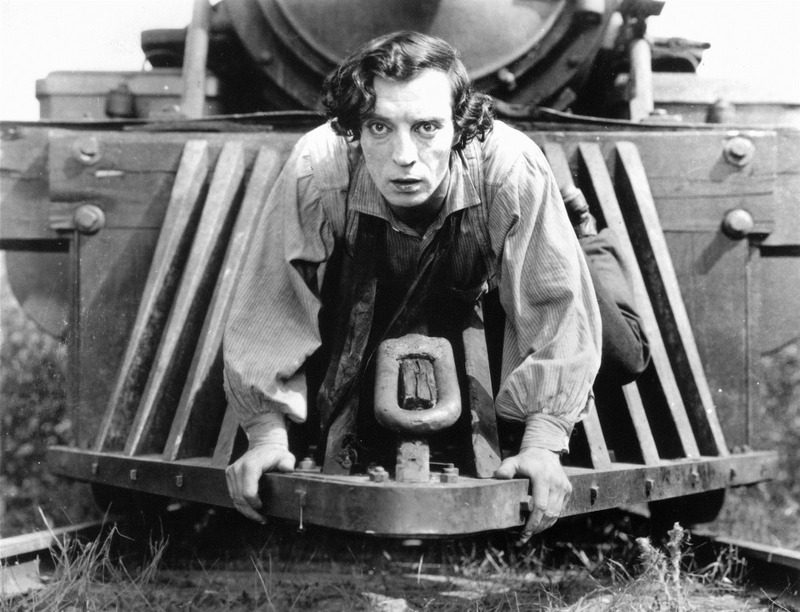 Buster Keaton wrote and directed The General (1926) as a retelling of that railroad battle, with himself as the main character who haplessly becomes ensnared in the struggle and must call on all his courage and loyalty to save the day. 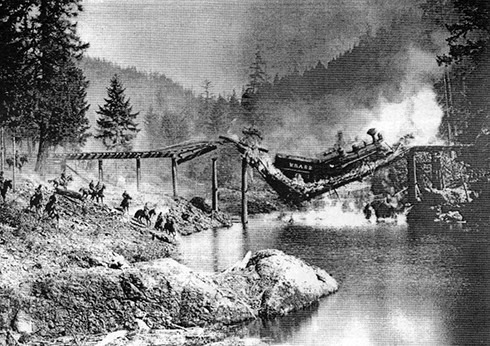 Much of the film was shot in Cottage Grove Oregon – especially the climactic train and bridge collapse. The town of Cottage Grove is proud of it’s film heritage with includes Stand By Me, Animal House, and Emperor of the North. 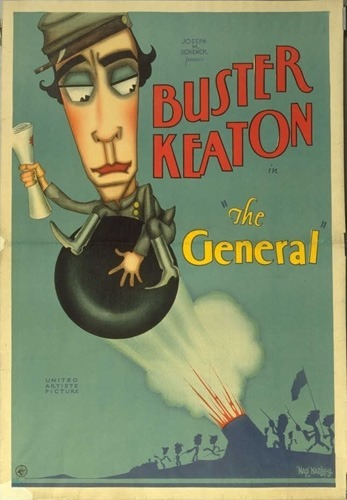 While not received well in Keaton’s day, The General has become recognized as one of the best silent films and has been heralded by film critic Roger Ebert as one of top 10 movies ever made and ranked 18th on the American Film Institute’s 100 Best American Movies. The charm of The General for contemporary audiences is in how effectively the silent film may be in telling a story. Many movies with multi-million dollar budgets and astonishing visual effects don’t come close to the direct emotional impact that comes from Keaton’s masterpiece. Even more affective was viewing The General accompanied by an original soundtrack played live by the composer and ensemble. Mark Orton’s composition is uniquely charming from any musical standard. The music is great and is well worth listening to a la carte. When paired with the film action, the musical art is enthralling. Orton emphasized the challenges in composing and performing in synch with a film. A solo performer on piano or organ can improvise with the film to accentuate moments. The ensemble, by contrast, must stay in synch and so the score and performance has to be precise so as not to be discontinuous with the visuals. To my ear and eye every moment was optimal. You will likely have to wait until the centennial of The General in 2026 to catch the next film-live-soundtrack-outdoor showing. I advise that it is worth doing and I plan to be there. Until then, purchase a DVD of The General with Orton’s soundtrack from the Cottage Grove Historical Society. When it comes to film/art, it does not get better than this.